The Supreme Court today expressed concern at the increasing number of agitations in the country in which public property is destroyed and observed that the protesters must be made to pay damages for the loss of nation’s assets. The court said it will lay down rules in this regard if the government did not do so. A bench headed by Justice J S Khehar which was hearing petitions filed by Patel (patidhar) quota stir leader Hardik Patel’s plea to quash sedition proceedings against him said if the government did not frame a policy for making protesters pay for the damage to public property they cause, the court will “do within its parameters”. 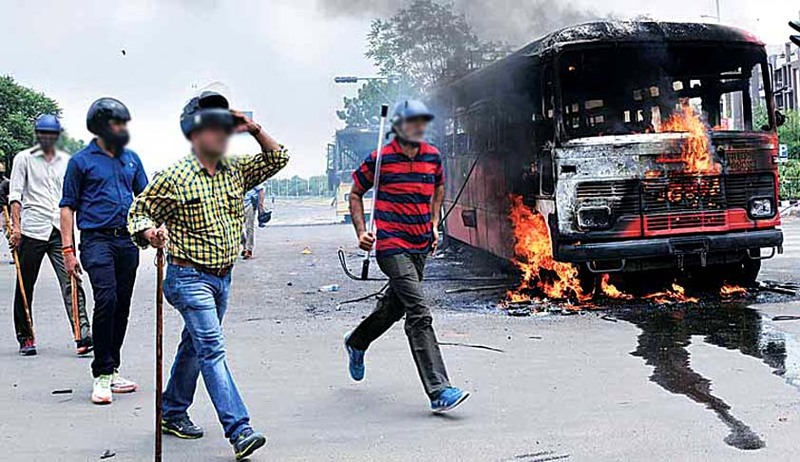 During the Patel quota stir in Gujarat which raged between July and August last year , eight persons were killed and scores of public property damaged. The court without naming the ongoing Jat quota stir in Haryana also indirectly referred to it. The stir has claimed 18 lives and injured 150 so far apart from causing damage to public property including buses and public building in large numbers. When the hearing began and Patel’s lawyer sought an adjournment, the bench told Attorney General Mukul Rohatgi who was appearing for Gujarat government that “there was an ancillary issue along with the petition which the court would like to take up and that was damage to public property”. “It is now happening everywhere and if the government cannot frame a policy we shall do it within our framework. People cannot be allowed to destroy public properties in agitation and they must pay the damage for loss of nation's assets. We must take a call on the issue and we would frame guidelines for taking action people for damaging properties in agitation”, the bench said. Whether it is political party like BJP or the Congress or any people, we are not bothered, they must realise that publiç properties can't be destroyed in agitation. We cannot allow people to burn nation's properties and take the country to ransom in the name of agitation”, justice Khehar added.